This Christmas themed Scroll Pinecone Ornament die measures 1.375" x 2.75" and matches perfectly with the Pinecone Ornament Background die (FRA09999). 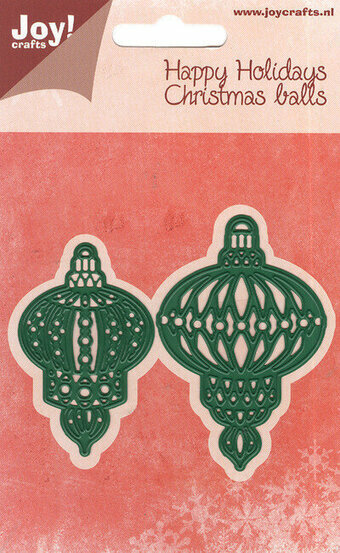 Frantic Stamper Precision Die - Teardrop Christmas Bauble Background. Measures 1-13/16" x 2-1/8". 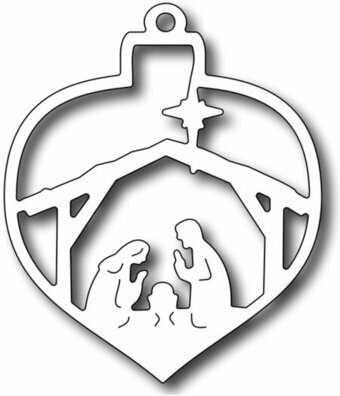 Use alone or as the background cut for FRA9295 (Deer Christmas Bauble) and FRA9296 (Nativity Christmas Bauble).